As many of our customers have noticed, supplies of Kinnegar beers have been a little sporadic of late. We apologise to everyone who has unfortunately been unable to get a Limeburner, Scraggy Bay, Rustbucket, Devil’s Backbone or Yannaroddy when they wanted one. Unfortunately, we’ve simply hit the wall of maximum capacity here at Kinnegar. We’re producing more than ever before (about 4,000L/per week) but just can’t keep up with the growing demand for the beers. 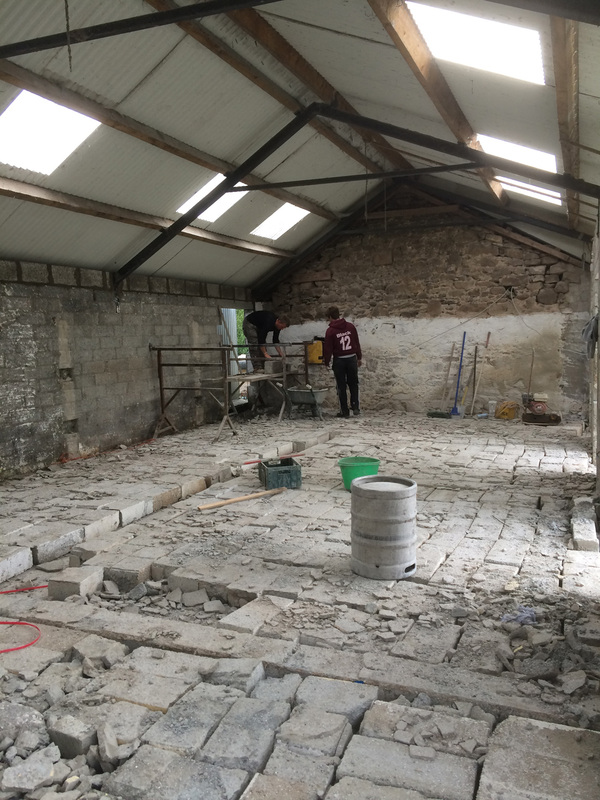 The picture below may not provide much immediate comfort but it shows that the work has begun on an expansion to the brewery. All going to plan, we will have new fermenters arriving in mid-October and should be able to ramp up production by the end of the month. We’ll keep you posted on the progress and hope you’ll bear with us for a few more weeks of tight supply. This entry was posted on September 9, 2014 by kinnegarbrewing. It was filed under A brewery grows .